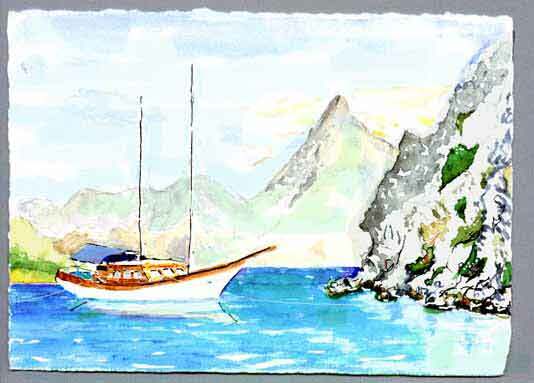 Life aboard this boat seems a carefree but stimulating idyll, with a steady flow of delicious Turkish meals, educational stimuli, sunshine, warm water, swimming and kayaking. We are pampered by a friendly skipper and crew. Daily visits to the ruins of ancient cities remind us that the essentials of daily life have not changed much over the past 2500 years. The ancients built homes, raised animals and food, traded at the market place, visited theaters for entertainment, cooked, ate, slept, mated, and died — the same as now. The cycle of life has its rhythm, and we are the dancers.